Joseph Nye is a long-time analyst of power and a hands-on practitioner in government. Many of his ideas have been at the heart of recent debates over the role America should play in the world: his concept of "soft power" has been adopted by leaders from Britain to China; "smart power” has been adopted as the bumper-sticker for the Obama Administration’s foreign policy. This book is the summation of his work, as relevant to general readers as to foreign policy specialists. 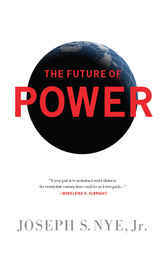 It is a vivid narrative that delves behind the elusive faces of power to discover its enduring nature in the cyber age. Author: Nye, Jr., Joseph S.